Radio DJ Jen made the Kardashians order a sisig meal with unli rice in her latest dub parody video. 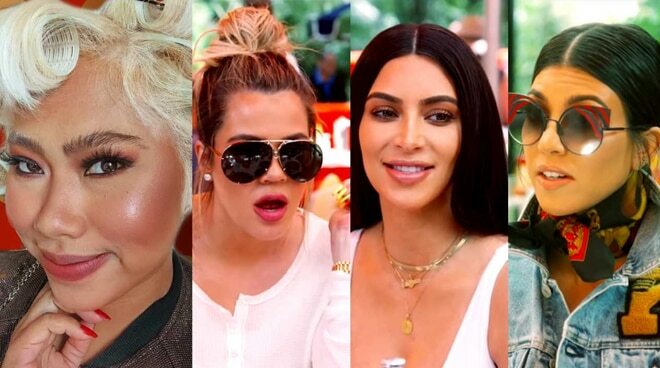 Have you ever imagined how the Kardashian sisters, Kim, Khloe, and Kourtney as Pinay celebrities? This hilarious viral dub parody from MOR 101.9 DJ Jen will help you imagine some more. The said video surfaced online yesterday January 12 and already had more than 490 thousand views and 15,000 shares on Facebook. DJ Jen, or also known as the Blondeng Waray of MOR 101.9, made the famous Kardashian siblings look like they are ordering sisig meals with unli rice, just like a typical Filipino family. The original video was from an episode of the running reality show, Keeping Up with the Kardashians. The said clip was uploaded on the E! Entertainment Youtube channel, where the three girls talked about their childhood memories at the Palm Springs restaurant. This is not the first time that DJ Jen did a spoof of Kim Kardashian. Last year, she also uploaded a funny dubbed video of Kim and Chrissy Teigan, another Hollywood personality. DJ Jen or Jennifer Catayong in real life, was first known as an impersonator of Nicki Minaj and was hailed the Ultimate Kalokalike on It’s Showtime in 2013. She is the newest addition to the radio DJs of MOR 101.9, after winning the radio station’s 2018 DJ Hunt, last January 4.